BitTorrent today announced it is adding a new paygate feature to BitTorrent Bundle, the company’s direct-to-fan publishing platform. Paygates will allow artists to monetize their Bundle content directly, though fans will only be able to download it a limited number of times before it is locked. In short, this is BitTorrent’s version of DRM. Once locked, the Bundle can’t be opened. “This ensures that the file’s value, and the original direct-to-fan transaction, is protected,” the company explains. Fans can purchase Bundles with a credit card or via PayPal in 140 currencies. The publisher covers the transaction fees, and BitTorrent says it takes a 10 percent cut after that. 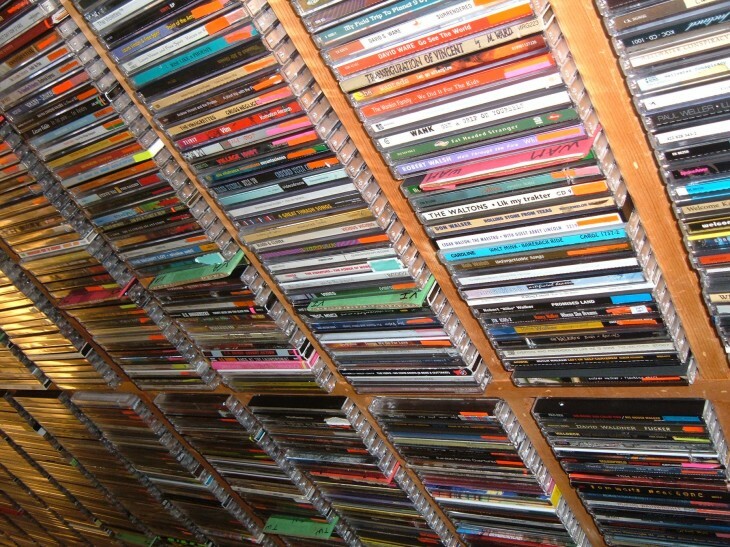 Like regular Bundles, artists keep all the associated fan data, such as number of impressions and downloads, as well as stream information and email addresses. 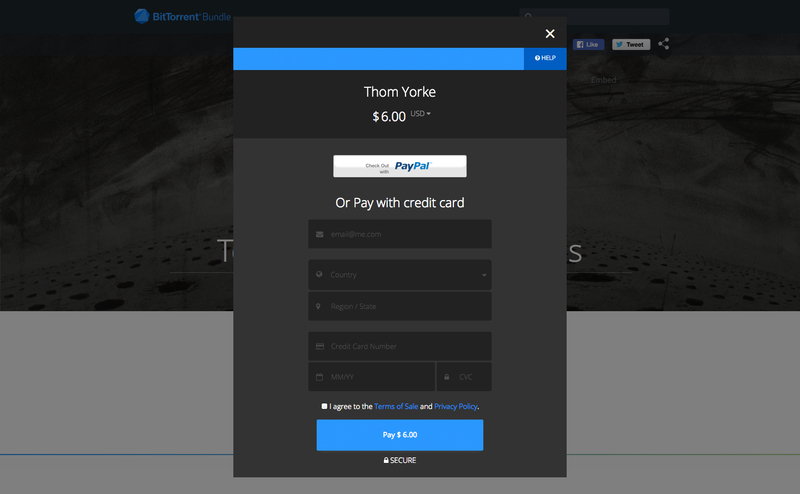 The first paygated BitTorrent Bundle is Thom Yorke’s new album Tomorrow’s Modern Boxes. It costs $6, though you can get one track and video for free. Instructions on how to grab it are here. BitTorrent first launched Bundles back in May 2013. The goal is to give artists a new way of distributing their content, one which they have more control over and one which they can use to connect directly with their fans. In the case of paygates, fans can unlock artist content through a direct payment to the artist. The project is still technically an experiment, but BitTorrent has been putting a lot of work in to grow it. The company launched a Bundle for Publishers platform in September, added search and tagging to help fan discovery, and made it possible to embed Bundles on any website or blog. In June, BitTorrent announced it had delivered over 100 million Bundles since launch. At the time, the company said more than 10 percent of all Bundles were streamed while monthly Bundle site visitors had eclipsed the 25 million mark. Paygated Bundles could help BitTorrent find a new revenue stream. While charging users won’t significantly increase the numbers mentioned above, it could be a boon for artists looking for new ways to monetize their work. That’s very key for a company looking to shed a public image tied to piracy.